The Company’s partnerships are key in terms of stakeholder sustainability and the long-term success of its operations. 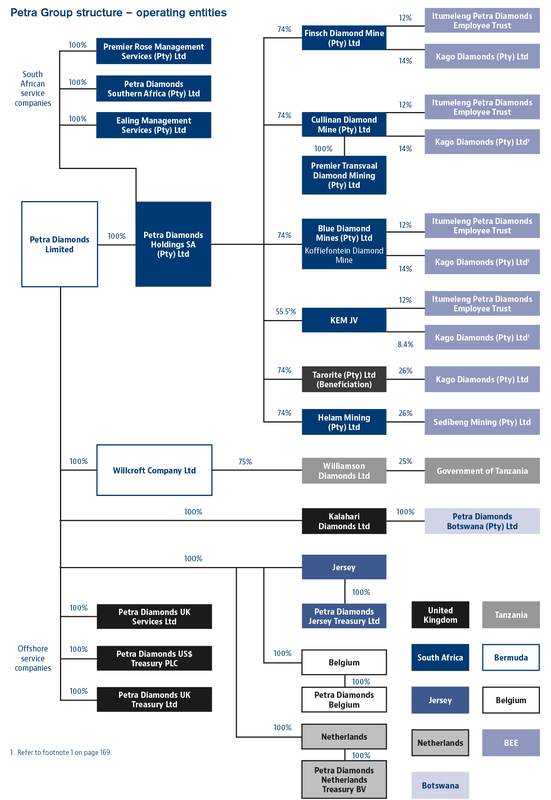 In South Africa, the Company has partner shareholders in its operations who represent the interests of BEE shareholders. 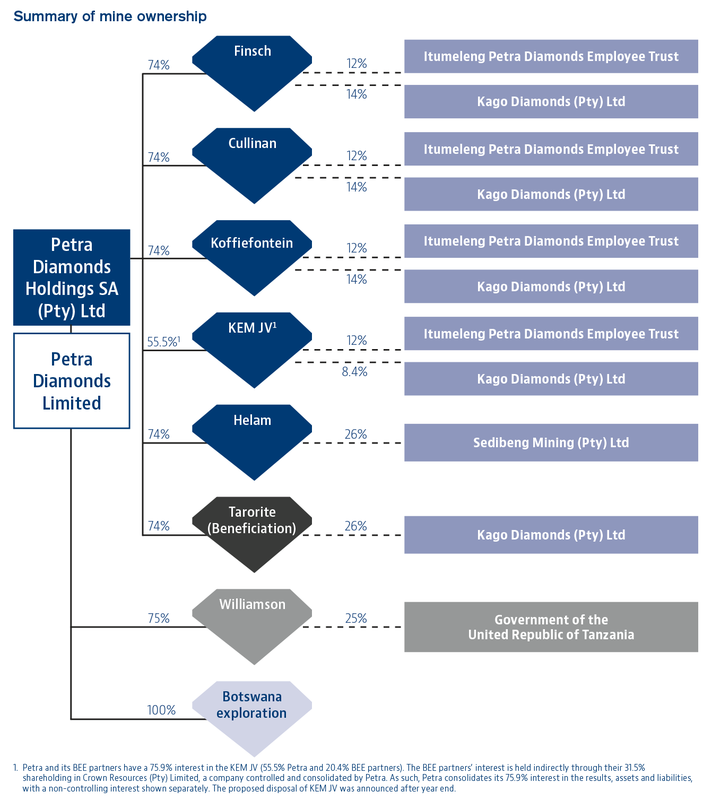 These BEE partners include various commercial BEE entities (including women’s groups), as well as, importantly, the Itumeleng Petra Diamonds Employee Trust. 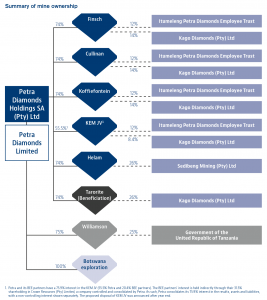 In Tanzania, Petra’s partner is the Government of the United Republic of Tanzania at the Williamson mine, the country’s most important diamond producer. Click the above thumbnail to expand image. 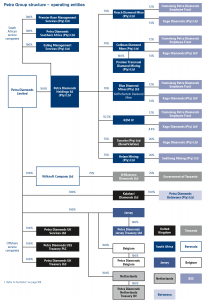 See our effective interest in mines in the “Analyst Guidance – Explanatory Notes” document found here.